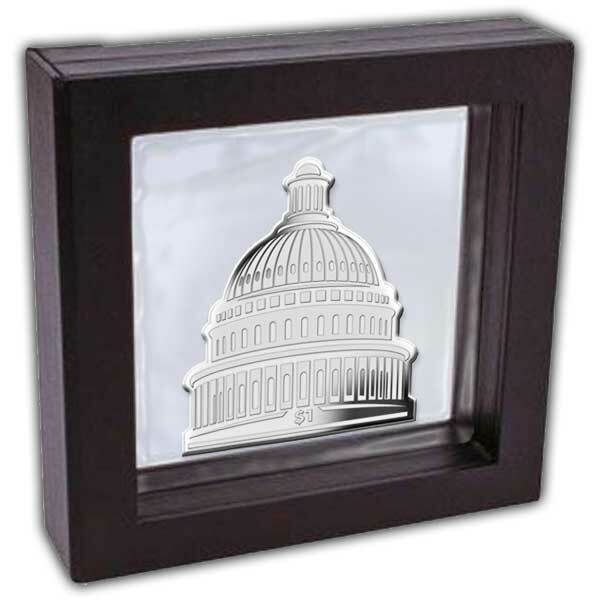 Such a renowned building should have a renowned coin so Pobjoy Mint has elected to strike a coin that reproduces this imposing shape with great accuracy. 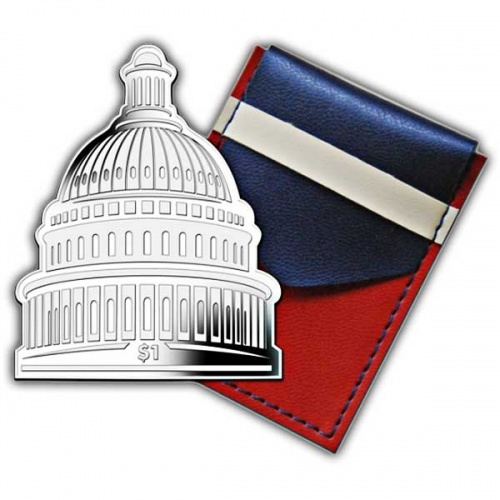 Willliam Thornton is the person we can thank for this marvel of engineering and as he was born in the British Virgin Island it makes the Capitol coin a really fitting tribute. Just a few of shaped coins exist on the market and this $1 has a low mintage for a coin of this type increasing its rarity and desirability to collectors. 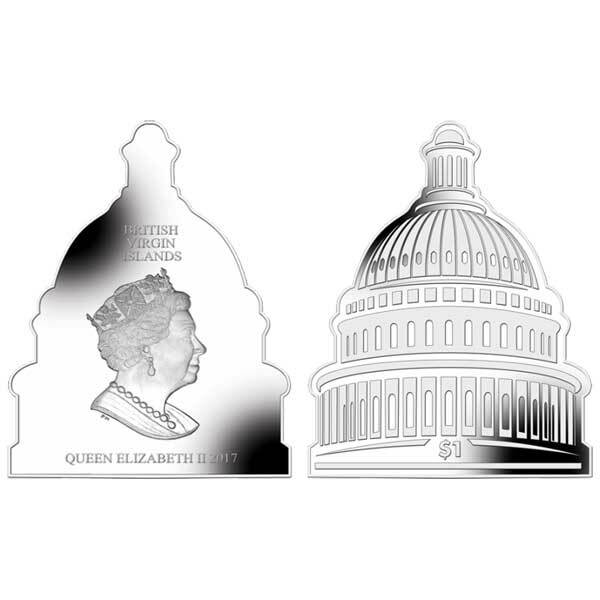 We have included our brand-new and special effigy design of HM Queen Elizabeth II on the obverse which captures our Queen in all her magnificence. The United States Capitol is likewise referred to as Capitol Building and Capitol Hill is the headquarters of the US Congress and the seat of the Legislative branch of the United States Federal Government and lies on top of Capitol Hill in Washington D.C.
A competition was held in the spring of 1792 with a prize of $500 to see which designer could propose the very best design for the building. A late entry from amateur architect William Thornton was the source of the iconic shape that we see today. Thornton, born in the British Virgin Islands, was well taken a trip and gotten motivation for the frontage of the structure from east front of the Louvre and the Paris Pantheon. The first foundation of the Capitol was laid by the one and just George Washington in 1793 and building of the 16 acre building continued up until 1800. Upon conclusion popular dome wasn't as grand as we see it today after being reconstructed in the 1850s it now stands three times as tall as the initial and weighs 4,041 metric tons. Pobjoy Mint takes pride in the success we have had producing such unusual shaped coins for the British Virgin Islands and hope that the time and love invested creating this coin is quickly recognisable to our collectors.